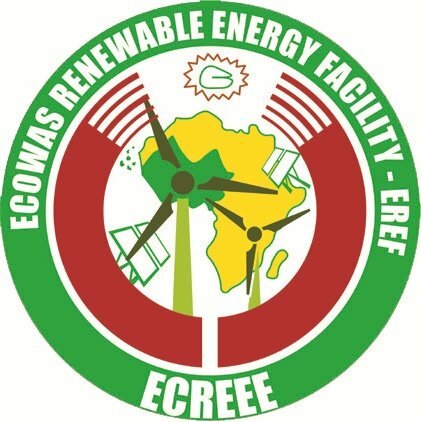 The ECOWAS Regional Centre for Renewable Energy and Energy Efficiency (ECREEE), based in Praia, Cape Verde, has launched the first call of the ECOWAS Renewable Energy Facility (EREF). The “green” Facility targets small and medium scale renewable energy and energy efficiency projects and businesses in peri-urban and rural areas of West Africa. In this context, decentralised renewable energy and energy efficiency technologies are well suited to promote sustainable development in rural and peri-urban areas. Available solar, wind, bioenergy and small-hydro systems are already more cost-effective than the widespread diesel solutions - particularly when considering the life time costs and negative environmental externalities. Improved biomass stoves can reduce indoor pollution and fuel wood use. Sustainable energy solutions meet the priority needs of the rural poor, boost local productive activities contribute to poverty reduction and help to create wealth, improve healthcare, create jobs and enhance water supply and sanitation. They are tools for harnessing, processing and preserving agricultural products (e.g. solar drying of crops or ice production in the fishery sector) and for the improvement of access to essential services (e.g. cooking services, solar cooling of vaccinations in health posts, basic lighting for rural schools, water pumping and desalination). By means of the Facility, ECREEE will be contributing to the implementation of the ECOWAS/UEMOA White Paper for Energy Access in Peri-urban and Rural Areas. The policy foresees that at least 20% of new investment in electricity shall originate from renewable sources and calls for the establishment of an innovation fund to raise funding for at least 200 demonstration projects. The Facility also contributes to the achievement of the UN Goal on Universal Access to Clean, Reliable and Affordable Energy Services by 2030, reduction of Greenhouse gas emissions (GHG) and the 2012 International Year of Sustainable Energy for All. The overall objective of the Facility is to contribute to sustainable development in rural and peri-urban areas of West Africa through increased deployment and usage of reliable and affordable RE&EE technologies and services. The specific objective of the EREF is to create a favorable investment and business environment which leads to accelerated deployment and use of RE&EE technologies and services in peri-urban and rural areas of West Africa. EREF activities will result in the mitigation of existing financial barriers for the development and execution of small- and medium sized RE&EE investments and businesses. The capacities, knowledge base and market access ability of local RE&EE technology and service companies will be enhanced. Networking, knowledge exchange and awareness raising on RE&EE business opportunities will be facilitated. The Direct Beneficiaries of the EREF are project developers, companies and institutions directly involved in the execution of projects funded by EREF. The Final Beneficiaries are the energy end-users particularly in peri-urban and rural areas benefiting from modern, reliable and affordable energy services and finally also the global community through the reduction of GHG emissions. Equipement de dix (10) unions villageoises dans dix (10) communes rurales du BURKINA FASO pour booster la production du Jatropha en vue de soutenir la production de biodiesel.